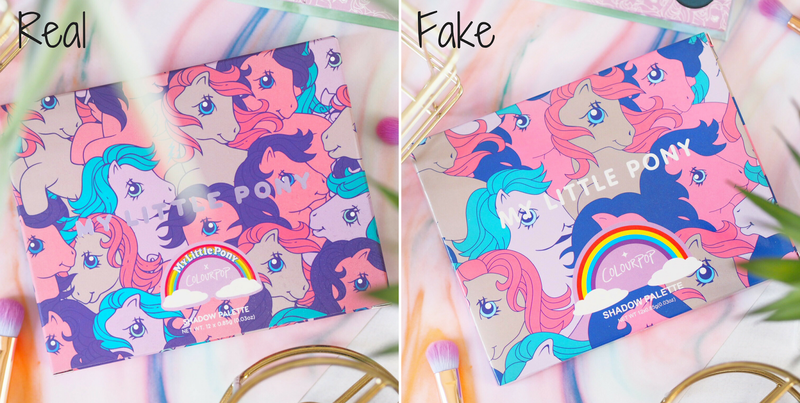 Colourpop My Little Pony Palette: Real vs FAKE! 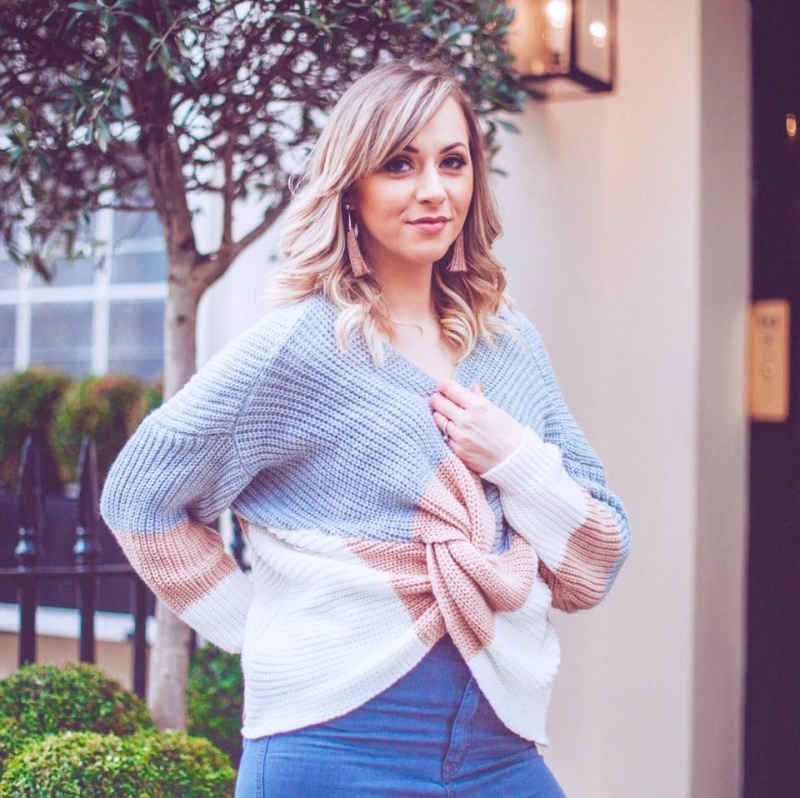 I’ve wanted to write one of these posts for SUCH a long time, and now that I have, I can see them becoming a regular thing on Lady Writes. 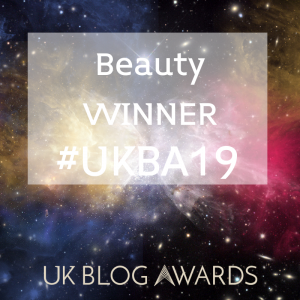 Getting this post together has felt like a little project and I’ve really enjoyed it actually – just call me a make-up detective! I should start by saying that I’ve never used fake make-up products. Nor would I, and I certainly wouldn’t recommend that anyone does. When you do your research into the types of things that end up going into fake make-up…well it’s enough to make you feel ill. Seeing as fake make-up is created without any regulations, no guidelines and no real need to be created with care, products on the black market are likely to cause rashes and reactions – and worse. So it’s not something I’d ever recommend wearing as an actual product. But one thing I get asked time and time again as a Beauty Blogger, is how I get the products from America? There’s lots of brands you can’t get here in the UK at all, and some who have much more extended lines overseas. So I do end up shopping a lot in America and shipping it over. But I am aware of how prohibitive it can be cost-wise to do this continuously (and so is my bank balance!) And I was chatting to some friends a while ago about the temptation for younger girls especially, to purchase cheap knock-offs of the hard to find brands. One of which is Colourpop. Yes their products are very affordable but shipping and customs rockets each order, unless there’s an offer on. 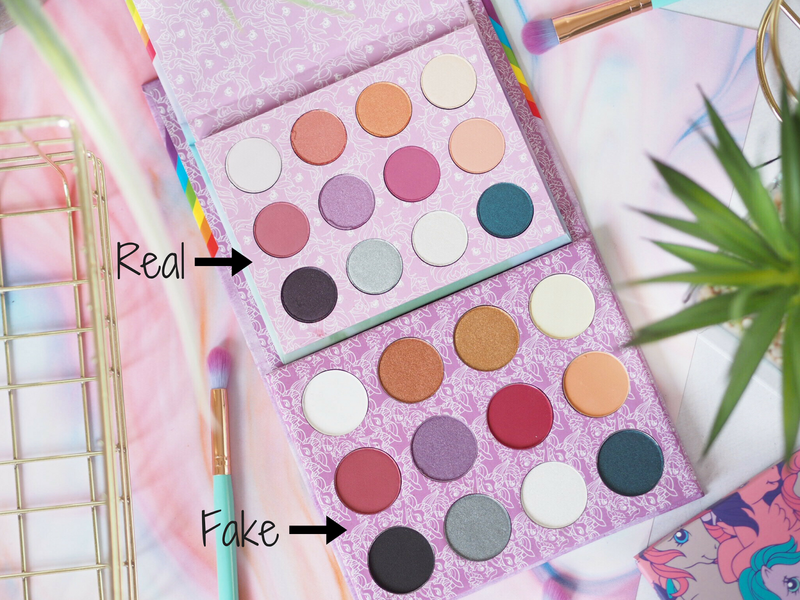 I was looking on lots of websites that apparently sell Colourpop here in the UK and was shocked at how many were getting away with selling clearly fake products. Colourpop sell the original for $16 which is approximately £11.50 ish. But remember you’ve then got shipping ($10 usually), and customs if you spend over £15. So I can see the draw to the fake ones – mine cost £8.99 all in. Bargain – right? I will say this – the postage was delightfully fast. I got it the next day. For free postage, you can’t complain at that. So Knock-off-Nigel did one thing right! But that’s where any positives ended – as expected! The box itself was similar – admittedly, so if you didn’t have any other Colourpop palettes, you *might* be forgiven for maybe thinking it was genuine – at a push. But the dimensions of the original box are 13cm x 10cm. The fake was 15cm x 2cm. So the fake is noticeably larger. Plus the fake box was cheap, shiny plastic, whereas the original box is a sort of waxy texture that feels better quality. 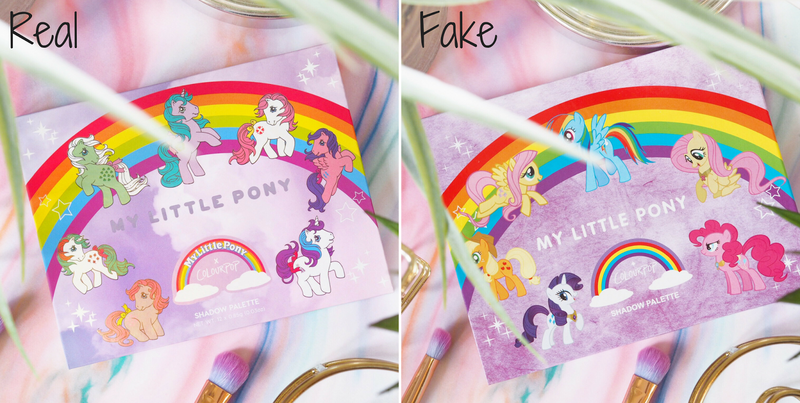 The logo on the fake was also wrong and not the official My Little Pony logo, and the writing was white and simple, where is should have been metallic and embossed. 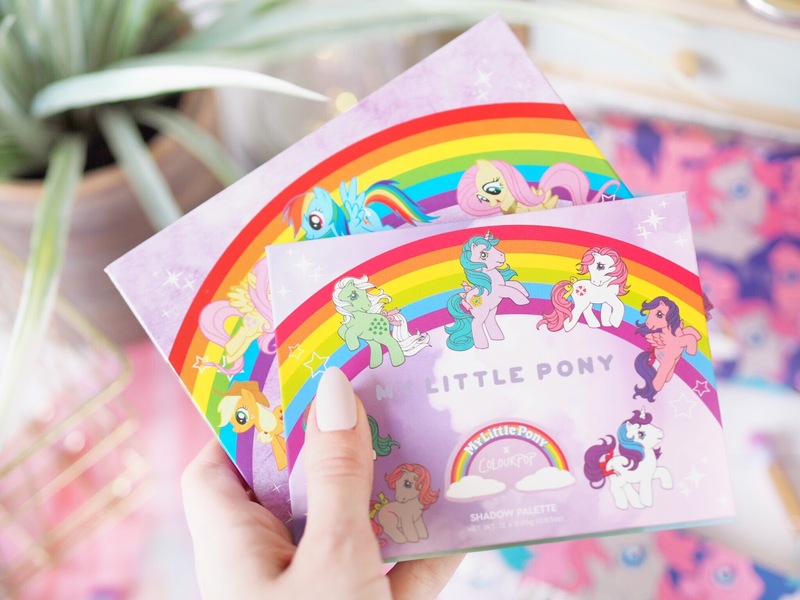 The back of the packaging was also another giveaway – there was no correct Hasbro sign (the license holder for My Little Pony) and there was a typo in the address. 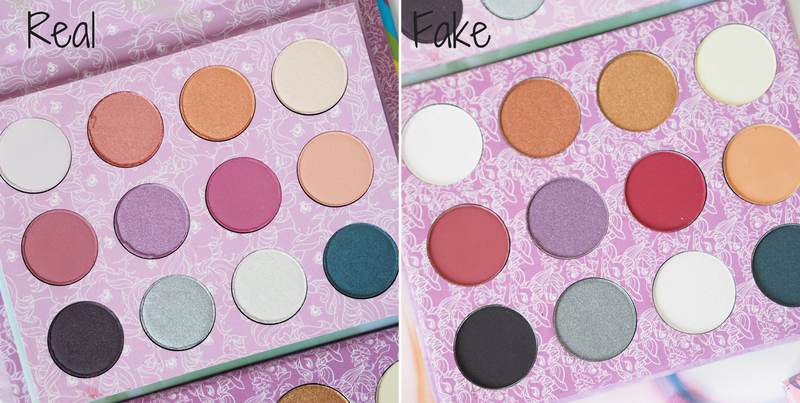 Moving on to the palette itself – the fake didn’t even try and hide it’s fakeness at this point! (Which made me laugh!) because it didn’t even have the right characters on the front. The Ponies were all the wrong ones, and the animation style was completely different. Not to mention the missing correct logo and the cheap shiny plastic appearance. Oh – and it was still much too big to be genuine. On to the shadows themselves. I mean, value for money, you wouldn’t be disappointed, kinda. Because the pans were massive! Much bigger than the original, but hey? Who wants more product when the product is fake?! The texture of the fake shadows was…awful. There was no hiding that the mattes were the worst I’ve EVER tried. I have swatched the colours below and you’ll tell from Bluebell (the pale white shade on the far left), it was so awful that I could barely even swatch it at all! The shadows, mattes especially, were like pure powder. No sticking power whatsoever – making the fall out ridiculously bad… The shimmers/metallics weren’t as bad to be fair, the texture was better but there was still a hella lot of fallout. I will say that I was surprised how close some of the shades did match the original, and some of the shimmers had a really impressive colour payoff. But the texture was poor and the main thing I love about Colourpop shadows is how creamy they are – there was none of this in the fakes. 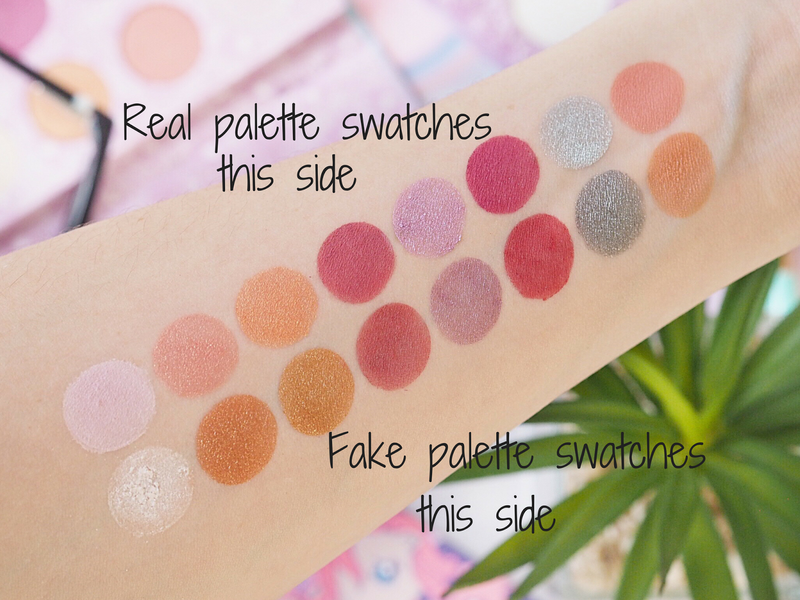 I had to spend a lot more time trying to get a decent swatch of the fake shades, they just didn’t perform anyway near as well. Plus, I should mention that when I washed them off, the fake ones came off with ease, whereas the real ones needed scrubbing and then STILL left outlines on my arm. Because they’re good, lasting quality. 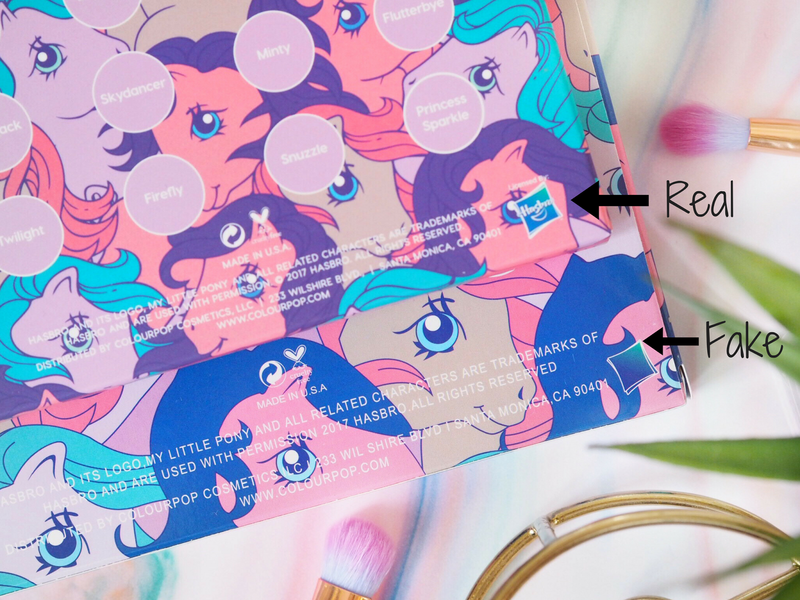 So what are my overall thoughts on the Real vs Fake Colourpop palette?! Well, I think that is obvious! The fake is very clearly, a fake. 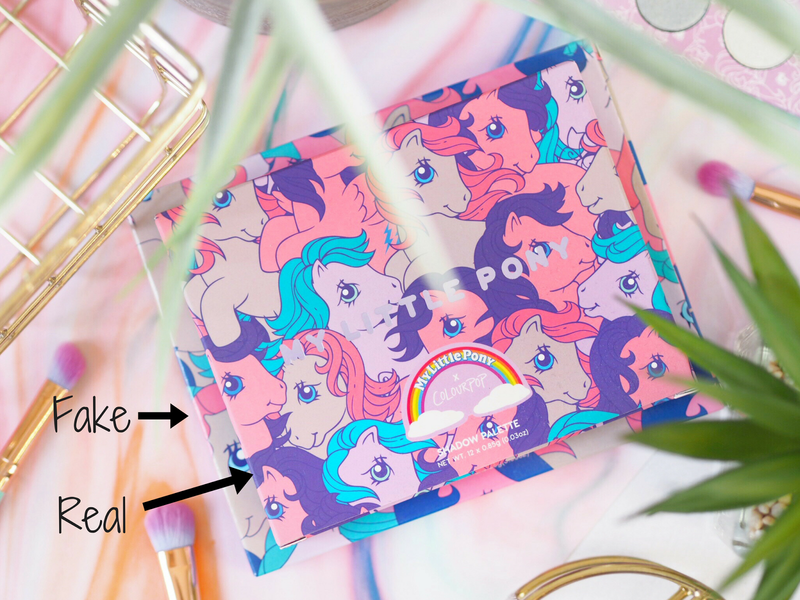 Although you could be forgiven for *maybe* thinking it’s real if you’ve not tried Colourpop before, if you have tried it, you’ll know instantly. The quality just isn’t there. There’s no power in the pigment, no quality in the blend and it washes off like it was never there. It doesn’t even come close. So for the sake of spending the extra, get the real thing and avoid the fake! I’ve already chucked mine. 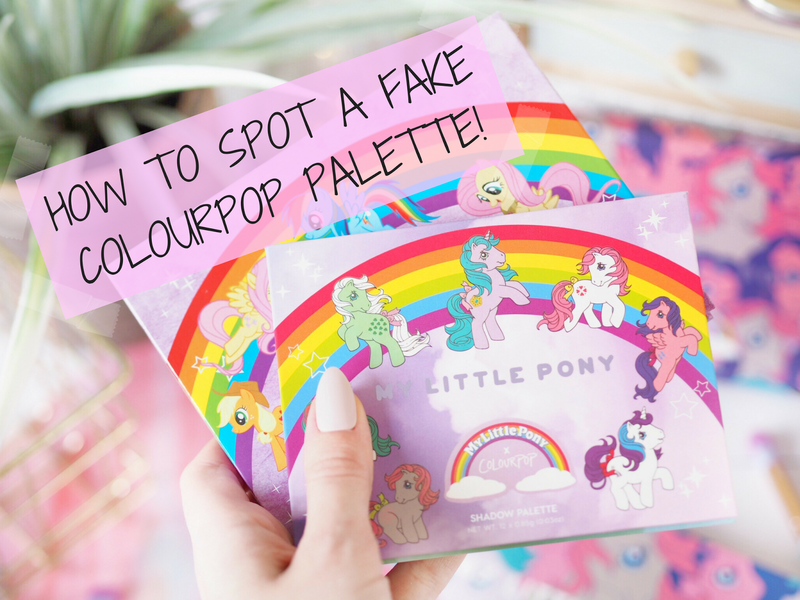 …If you’ve enjoyed this post please let me know in the comments which other palettes (from any brand) you’d like to see a ‘Real vs Fake’ post on!